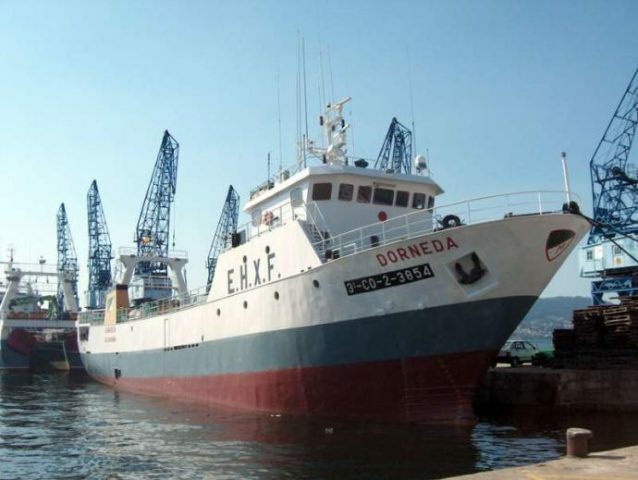 On July 11, the 50 meter long, 748 gt fishing vessel Dorneda capsized and sank in the South Atlantic some 300 miles off the Comodoro Rivadavia, Argentina. The trawler was hauling in nets in heavy seas when the Dorneda lost stability. Waves washed over the stern ramp and flooded the trawler’s engine room. The Dorneda engine failed and the vessel went adrift. The crew were unable to keep the vessel under control in the heavy seas and abandoned ship into the vessel’s two life rafts. The Dorneda eventually lost stability, capsized and sank. A distress beacon alerted authorities that the Dorneda had been lost. The Argentine Navy alerted nearby fishing vessels to look for survivors. On the following morning, the two life rafts were spotted by a fishing vessel. Twenty-five crew were rescued. Reports state one crewman was missing and another perished during the incident.